And a Happy Thanksgiving to you! Yes your list did make me smile and i love the photo! Happy Thanksgiving. I think having unique lists are great! 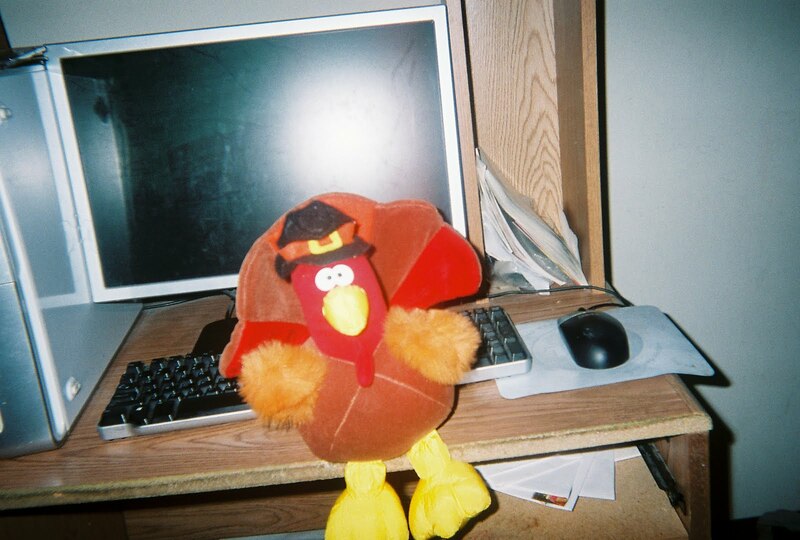 I love the turkey on the computer. The holidays are stressful here as well. M's birthday is right before Christmas making it all the more complicated, now throw in visitation from a divorce and it is even more difficult.